Here comes the Joyetech ProCD Coil! It is designed for ProCore Conquer atomizer, high power and easy to replace. Available in 0.15ohm. 5pcs each pack. 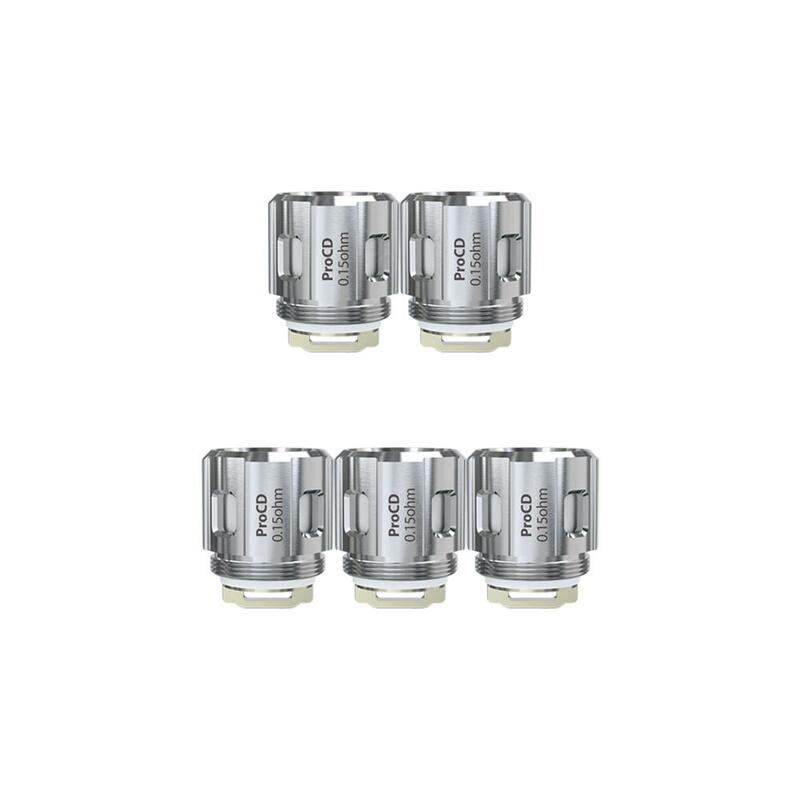 Get it as spare part for your ProCore Conquer atomizer! Ordered these as they fit the SMOK big baby beast. Just trying one now & the flavour is really good. Cheaper than the SMOK coils. For this price it's a win win :). The battery lasts longer and makes a lot of cloud! It is the intermediary between ProC1 and ProC1s. Joyetech ProCD Coil is a 5pcs/pack coil with ProCore Conquer Atomizer. The newly added ProCD (0.15ohm) head, made of reticular coil (Kanthal) can be run at 40-80w under wattage mode, offering huge clouds without compromising its flavor.